Lasagna is a comfort food and my mother made terrific lasagna. The fragrance as it baked was unmistakable and the big pan of Italian goodness could be counted on to feed our family for at least two generous meals. 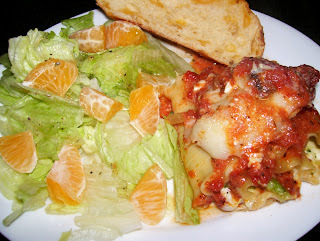 A lasagna dinner made everyone feel satisfied and wonderful. My own lasagna is patterned after my mother’s. I use the same cheeses and make my own meat sauce. I layere it as she did and bake it so the fragrance fills my home, just like hers. Sometimes, though, a good idea comes along that is too good to pass up. Lasagna Rolls is one of those. 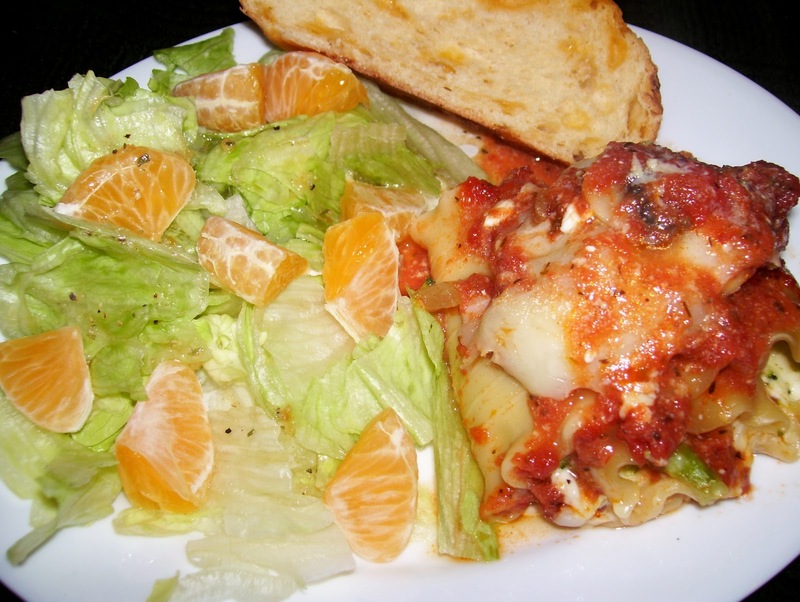 This recipe has the essence of lasagna, but eliminates some of the work. My version, makes use of vegetables and the meatless sauce is actually from a jar. I love the fact that there is no complicated layering and each roll becomes a generous serving. Served with a fruit salad and a nice piece of Italian bread, this is a mouth-watering meal to love. Heat a pan on medium-high heat and add olive oil. When oil is hot, add mushrooms, onion and garlic. Sauté until vegetables are tender. Add marinara sauce and mix well. When heated through, remove pan from heat and set aside. In a large bowl, mix cottage cheese, Parmesan cheese, broccoli, 1 C mozzarella cheese, egg, salt and pepper. Mix well. 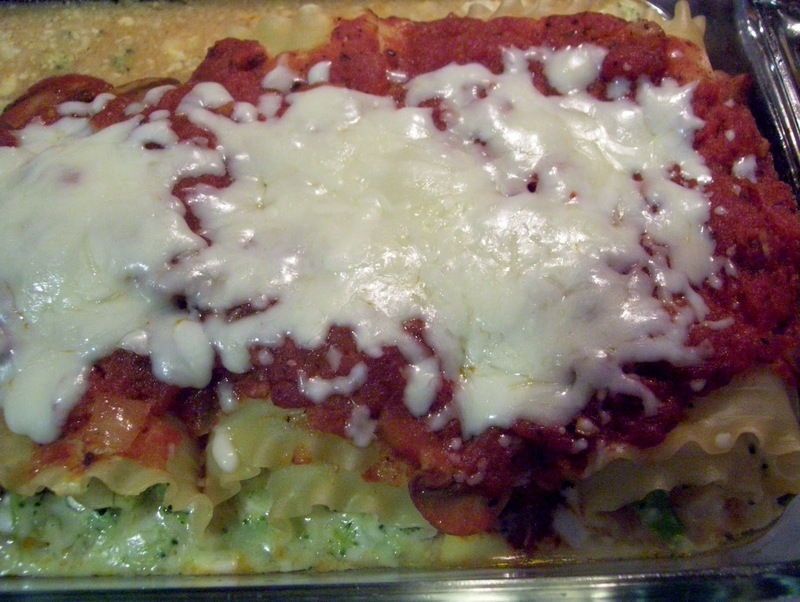 Spread ½ C cheese mixture evenly on each lasagna noodle. Starting at the short end, roll each noodle and place, seam side down, on a greased 2 qt. or 8x11.5 baking dish. Pour marinara sauce mixture over the top of the rolls. Bake at 350 degrees for 25 minutes. Top with remaining ½ C mozzarella cheese, and bake for 5 more minutes or until cheese melts. Remove from oven and allow to sit for 5-10 minutes before serving. Serves 8. This dish may be prepared ahead of time and refrigerated until needed. Allow 10 minutes more baking time.